Ann Elizabeth Wilkinson, 85, of Jeffersonville, formerly of Washington, passed away at 9:00 a.m. Tuesday, April 3, 2018 at Riverbend Assisted Living. She was born December 15, 1932 in West Frankfort, Illinois to the late George and Margaret (Houston) Pritchett. Ann was a member of the First Baptist Church in Washington. She was a loving caregiver, a great story teller and enjoyed every minute that she got to spend with her family. 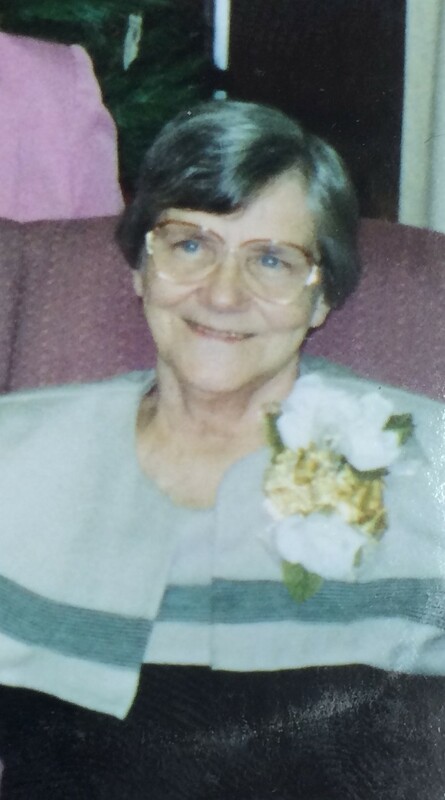 She was preceded in death by her husband of nearly 50 years, Charles Norman Wilkinson; granddaughter, Ann Marie; brothers, George “Verne” Pritchett, Roy “Clyde” Pritchett, Benny Wayne Pritchett, Melton “Loval” Pritchett, Arthur Pritchett, Billy Burl Pritchett, infant Herbert Pritchett and an infant brother; sisters, Mary Thomas and Thuva Walker Lewis. Ann is survived by her children, Charles “Chuck” Wilkinson of Washington, Cheryl (John) Robertson of Silvis, IL, James Wilkinson of Cincinnati, OH, Robert (Susan)Wilkinson of Indianapolis, Wayne (Kym) Wilkinson of Corydon and Patrick Wilkinson of Washington; 12 grandchildren, Scott (Shelly), David, Amanda (Lee), Monika, Jessica, Brittani, Taylon, Aaron, Lisè, Elliott, Ericka, Sean and Lauren; 6 great-grandchildren, Austin, Emilee, Alyssa, Amanda, Chloe and Bruce; sister, Patricia Binkley of Decatur, IL; sister-in-law, Betty Pritchett and brother-in-law, Bill Thomas, both of Decatur, IL and many other sisters-in-law and brothers-in-law; numerous nieces and nephews. Funeral services will be conducted at 1:00 p.m. Friday, April 6, 2018 at Blake & Wagler Funeral Home in Montgomery, Indiana. Burial will follow in Sugarland Memory Gardens. Visitation will be held Friday, April 6, 2018 from 11:00 a.m. until the time of service at the funeral home. In lieu of flowers memorial contributions may be made to the First Baptist Church, American Cancer Society, Alzheimer’s Association or your local food pantry.